If screaming kids, matching outfits, and a bunch of fits are a part of your Christmas card then you are not alone. It’s safe to say that a messy Christmas card photo shoot is everyone’s normal. Even though we at Associated Plastic Surgeons may not be able to convince your kids that they need to behave, we can ensure that you are looking your best. From fighting acne to fine lines and wrinkles, we have a few fast solutions that will help you get the picture-perfect worthy complexion that you want. If you have acne scars that you are really concerned about then you may want to consider getting some chemical peels before your photo shoot. 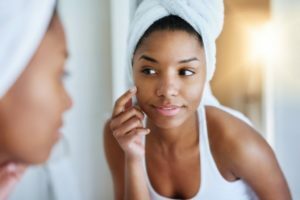 Depending on the type of chemical peel that we do, however, your skin may be red for several days afterward which means that you will have to plan accordingly. During your initial chemical peel consultation, we will go over what you can expect as far as healing time. A photo says a thousand words which means that your fine lines and wrinkles can’t behind that lens. To help you get a more youthful appearance, we can use both fillers and Botox to help you get a smoother looking appearance. During your consultation, your doctor will discuss what injections they think will help you give the best results. The great thing about fillers is that they work almost immediately. Botox takes about seven full days to show full results but many patients start to see visible results in just five days. You want to send your Christmas or holiday card out feeling confident about your appearance. If you want to learn a little bit more about how you can get a better-looking complexion, schedule a consultation with us at our Huntington office and contact us at (631) 423-1000.